We awoke to the last day of our 2013 travels together with the grandchildren. After breakfast at the Residence Inn, we took a leisurely walk along the picturesque river in Bricktown before packing up for our last travel day. It was sad to see some of the tornado devastation in Moore as we drove along Interstate 35 South. We drove through the Arbuckle Mountains at an elevation of 1,413 feet and past Turner Falls. Stopping at Braum’s, we ate lunch and each of us enjoyed the “obligatory” ice cream or yogurt favorite. Singing and happy amusement accompanied our turn onto F.M.1488 as we drew near to Aurora’s home. After leaving her at home, we came to Micah, Miranda, & Mikayla’s home. What happiness there was! After driving 2,400 miles with the grandchildren, Wayne and I returned to our home at 9:30 PM where we unpacked & went through mail. We slept peacefully and well in our home without Internet, TV, or long distance phone service. We left Seward by 7 AM and arrived in Wichita by noon to the home of Dr. Dennis & Ann Ross, friends of Poppy & Mimi, who had invited us for lunch along with our new friend we met in Vail, Jan Carduff.The Ross’s home is spectacularly beautiful filled with Chihuli art. Ann had prepared a delicious meal and invited the children to swim in their pool. A mother duck was sitting intently on her eggs in a large plant pot. We stayed until 2:30 PM and had such an enjoyable time. It was Dr. & Ann Ross’s 41st wedding anniversary. We drove on to our lodging at the Residence Inn in downtown Bricktown. It was a lovely suite that was upgraded for us with two bedrooms. We felt very blessed. (Having our Marriott Rewards membership has been such a blessing.) The children went swimming and then we ate our evening meal at the Residence Inn. Poppy bought the movie, “42,” the story of Jackie Robinson, for us to see in our suite. We began the day in worship at St. John Lutheran Church in Seward, Nebraska, where the grand children’s great-grandfather concluded his ministry as pastor to the elderly. After the worship service, we ate lunch in Seward at the Dragon Palace, a Chinese restaurant. We then visited the cemetery where the children’s Great Grandfather Rev. Edward C. Werner is buried and where Great-Grandmother Wernner (Gigi) will be buried. We introduced the children to the campus of Concordia University where Poppy and Mimi met and fell in love. We returned to East Hill Inn & Suites for a brief nap before meeting cousins, Mitch & Priscilla Klintworth, for dinner at Valentino’s in Lincoln where Poppy & Mimi had several dates while students at Concordia, Seward. Following our Valentino’s dinner, we drove to Seward’s Moffitt Park to meet Mitch & Priscilla’s sons, daughter-in-law and grand-daughter. At Moffitt Park, the children also saw the stone cottage where Poppy & Mimi were first introduced at a junior class party on November 16, 1968. It was a very special memory and a wonderful time of gratitude to God for graciously bringing Poppy & Mimi together and blessing their marriage through all the years. Upon returning to East Hill Inn & Suites, we were also thankful for our accommodation: two suites next to each other, Miranda & Mikayla having their own suite, and Aurora & Micah sleeping in Poppy & Mimi’s suite. We were truly blessed. Aunt Rhoda arrived on her return from South Dakota and brought Poppy & Mimi separately to meet the Thorell family in Seward. We just enjoyed squeezing in all the time we could with the family before leaving after lunch for Seward, Nebraska. We stopped in Norfolk to let the grandchildren experience runzas, a German pocket sandwich made with ground beef, sautéed onions, and saurkraut. Arriving in Seward at the East Hill Inn & Suites, we were thrilled with our accommodations: adjoining suites, each equipped with a king bed, pull-out couch, bathroom with a jet spa and separate shower, and a full kitchen. Poppy bought Godfather’s Pizza, and we settled in for the night. Today the grandchildren fed the chickens and cows and picked strawberries. In the afternoon Aunt Anna Blank and her daughter, Lisa, our cousin, drove to the farm from Madison, Nebraska. Aunt Ruth and Uncle Lynn Stuhr from Wisconsin and Uncle Shane, Aunt Rhoda’s husband, from Nebraska, arrived. It was a wonderful reunion. Aunt Priscilla prepared grilled steak and made twice-baked potatoes for everyone. Uncle Cray & Aunt Rachel arrived at 12:30 AM after experiencing great difficulty with airline transportation. They ended up having to rent a car in Omaha at additional expense. The grandchildren loved the farm adventures: being with GG (Great Grandmother), riding on the four wheeler with Uncle Dennis and Uncle Dan, watching the cows and chickens, swinging on Uncle Dan & Aunt June’s porch swing, eating meals at Aunt June & Uncle Dan’s home for lunch and at Aunt Priscilla & Uncle Dennis’s home for dinner with the extended family, playing with Ricky, Aunt June’s dog, eating fresh garden produce and Aunt Priscilla’s muffins and homemade ice cream, playing spoons with Uncle Dennis & Aunt Priscilla and Aunt Rhoda. Leaving Rapid City at 10 AM, heading east on Interstate 90, the farmlands of the Great Plains opened up to us. The ever-present signs for Wall Drug amused us as they led us on interstate to Wall Drug in Wall, South Dakota, an icon of the South Dakota Great Plains since 1931. It seems as though the small town of Wall has built up around the popularity of the expansive Wall Drug. All four of the grandchildren found special souvenirs here. We ate lunch at the local Dairy Queen. As we proceeded east on I-90, the high, rocky terrain was replaced by gently rolling hills and lush, green flat lands with occasional herds of cattle and horses, small ponds, a few patches of trees, and isolated farm homes. While near Badlands National Park of South Dakota, which consists of 244,000 acres of sharply eroded buttes, pinnacles, and spires blended with the largest, protected mixed-grass prairie, we passed through an Indian reservation and the quaint, Western community of Midland, dominated by a white wooden church. Proceeding further on I-90, flat farm fields occupied the landscape. We left interstate and entered Douglas County, the county in which Wayne’s mother grew up. We drove through Armour, the county seat, and Poppy shared with the children the stories of his mother’s family. We visited the cemetery of St. Peter’s Lutheran Church where Poppy’s grandparents and great grandparents are buried on his mother’s side. Fields were green with thriving field corn and grain that would be used to feed the cattle. We headed to Parkston, where Uncle Bobby and Aunt Anna (Drefs) Graumann live. Uncle Bobby, brother of Wayne’s father, Emil, is the last surviving uncle of that generation. We had a delightful, lengthy visit with them and learned more about the family history. Especially interesting was learning that Wayne’s Grandmother Graumann, his father’s mother, at the age of fifteen was brought by her father three men from whom she was to choose one man to marry. Why would her father do this, we had wondered? The family was too poor and had too little food to continue feeding and caring for her. As a result, they made the decision to have her leave the family home and marry. Hearing this story provided the explanation for Grandma Graumann’s extreme generosity to people in need in the community. Grandma Graumann was well known for feeding anyone who was hungry. We drove on toward Dolton. As we approached the farm places of Uncle Dan & Aunt June and Uncle Dennis & Aunt Priscilla, the van almost rocked with the excitement of the grandchildren. They retold stories of their visit last year to the farm and squealed with glee when they saw the noticeable wind turbine. Aunt Priscilla had dinner waiting for us. It was wonderful to be with the family again. We had a pleasant stay in Casper, Wyoming. Traveling east in Wyoming, the terrain was hilly, rocky, dry and desolate. We mused at the distance the area’s few residents had to travel to purchase food and other necessities. As we turned north in Lusk, a cute, little town, the hilly terrain revealed strikingly beautiful rock formations and occasional patches of trees. Cattle grazed on the plains and horses roamed in the fenced-in prairie. We entered South Dakota whose motto is “Great Faces; Great Places.” What a grand expanse of rolling prairie lands! As we passed Edgemont, we recognized how the Black Hills had acquired their name: the exposed soil on the forested hills was indeed black! It was sad to see the affects on trees as the result of a forest fire. We drove through Hot Springs, South Dakota, a darling little town carved out of the red soil and mountainous terrain, and soon arrived at Wind Cave National Park, which includes 28,295 acres of prairie grassland and ponderosa pine forest, and thirty miles of trails. In 1903, Wind Cave National Park became the eighth national park in America and the first park created to protect a cave. The entire park is so beautiful with the mixed-prairie grass that sways in the wind. We saw grazing bison and prairie dogs standing tall in the wind-blown native prairie grasses. Other wildlife are present in the park: black-footed ferrets, elk, mule deer, and pronghorn antelope. We took the spectacular Fairgrounds tour of the cave, a 1 1/2 hour tour through the wind cave. The cave consists of one hundred forty miles of currently explored cave covering only one square mile. While on tour viewing the unique box work and “popcorn” formations, Micah raised his hand and asked the tour guide, “Can we eat the popcorn?” The temperature inside is 53 degrees Fahrenheit. In the 1930s, the Civilian Conservation Corps installed concrete passageways and constructed buildings around the visitor center. We entered the Black Hills National Forest with the beautiful trees and amazing bold, colorful rock formations. We visited the Crazy Horse Memorial in the Black Hills of South Dakota. Crazy Horse was an Indian born on Rapid Creek in the Black Hills of South Dakota around 1842. In 1868, the President of the United States signed a treaty giving the Black Hills of Dakota to the Sioux Indians “as long as rivers run and grass grows and trees bear leaves.” Crazy Horse defended his people and their way of life in the only manner he knew after seeing his leader, Conquering Bear, killed by treachery, and witnessing the failure of government agents to honor treaty guarantees. In 1891, Crazy Horse stated, “They made us many promises, more than I can remember–They never kept but one; they promised to take our land, and they took it!” While at Fort Robinson, Nebraska, under a flag of truce, he was fatally stabbed in the back by an American soldier. The memorial to Crazy Horse is a memorial to the spirit of Crazy Horse and his people. Sculptor Korczak Ziolkowski was selected by Lakota Chief Henry Standing Bear to carve Crazy Horse, which he began in 1948. After his death in 1982, his wife and seven of their children have directed the continuing work on the monument. Our next visit was to the Mount Rushmore National Memorial, one of 401 sites of the National Park Service entrusted to preserve and protect for future generations. Between 1927 and 1941, at a cost of less than a million dollars with four hundred workers assisting, Gutzon Borglum sculpted the faces of four presidents on the Harney Peak granite rock of the Black Hills: George Washington was chosen because he was the first president of the United States; Thomas Jefferson expanded the boundaries of the United States with the Louisiana Purchase; Theodore Roosevelt established the National Parks Service; Abraham Lincoln preserved the nation during the Civil War. For Gutzon Borglum, the four presidents represented important moments in American history. Each face is sixty feet tall, and each eye is eleven feet wide. The nose of George Washington is twenty-one feet long; the noses of the others presidents are twenty feet long. George Washington’s mouth is eighteen feet wide. We had a delightful visit with cousin, Clint Semmler, and his wife, Sherry, who had invited us to a cook-out at their home. The children had fun playing volleyball and badminton in their backyard. It was very pleasant sitting on their outdoor patio, eating venison & beef burgers, Clint’s exceptional potato salad, and rhubarb cake for dessert. Sherry graciously let me do laundry while we visited. Wayne also visited on the telephone with his cousin, Clyde Graumann, who also lives in Rapid City. Upon arriving at our lodging at the Fairfield Inn and Suites, instead of having a suite with two queen beds and a pull-out bed, we were assigned a room with only two queen beds. There were no more suites available and no other rooms to reserve; as a result, the three girls slept together, and little Micah slept between Wayne & me. We adapted well! Today we packed up our belongings and left The Hostel in Teton Village to begin our journey to Casper, Wyoming, after eating breakfast at McDonald’s in Jackson. We traveled on Highway 26 through the Grand Teton National Park resplendent with an unobstructed view of the mountains towering over meadows glowing with wild flowers. We passed the Museum of Wildlife Art which we did not have time to visit. It is a stop for another visit. We paused to photograph the jagged peaked mountains of the Shoshone National Forest that reminded Wayne & me of Italy’s Dolomites. The drive on Highway 26 was incredibly beautiful with a gently-flowing river running through the hilly ranch lands and valleys. Nearing Dubois, the mountainous terrain that surrounded the valleys became lined with dry rugged multi-colored red dominant striata. Dude ranches and RV parks dotted the landscape. Colorful Indian tepees made their home beside the Wind River. Mount Calvary Lutheran Church Missouri Synod was located in Dubois, a cute community of 900 people nestled in a valley surrounded by the colorful mountains. Beyond Dubois the rugged mountains turned rocky red, reminding us of the red rock of Colorado. Highway 26 took us through the Wind River Indian Reservation. Dry ranch land with cattle and horses dominated the landscape. Where vegetation grew, irrigation watered the land with water from the Wind River and Boysen Reservoir. Mountains of varying faces surrounded us as we traveled. We left the Indian reservation and stopped in Shoshoni for gas, restroom, and snacks. An apparently dying community, Shoshoni is located on the Sand Creek Massacre Trail. Driving from Shoshoni to Casper, Wyoming, the land of gently rolling hills became more dry and desolate. It was evident that we had left the cold weather of Teton Village behind as temperatures rose to 87 degrees. Outside Casper, we spotted a business, “Fab Tech,” as opposed to our “Tex-Fab” in Cypress. Arriving at the Courtyard in Casper, we quickly unloaded our luggage and headed to Sanford’s for dinner. What a delightful child-friendly dining center filled with relics from the ’50s! The food was delicious, and we all loved the setting. Since the pool was closed for servicing, we let the children watch a movie in their room. Wayne & I were so thankful to have two connecting rooms where the children slept in their own room, and we had a room to ourselves. We prepared for another thrilling day tomorrow. We all slept long and soundly and awoke to a glorious day. We drove in to Jackson where we ate brunch at a local restaurant, L.Eaven, where all the food is prepared from scratch. It was a delicious, satisfying brunch. Wayne has been giving each of the girls $20.00 weekly with which to buy souvenirs and any extras for the trip. This practice has proved to be a winner, for it encourages each of the girls to budget their money and to be selective with the purchase of extras. After eating brunch, the girls had a delightful time shopping, each of them wanting to buy gifts for their mother. Mikayla’s mom’s birthday is today; Miranda & Micah’s mom and Mikayla’s step-mom has a birthday on July 5. The girls carefully shopped for gift items their mom would appreciate, attractive jewelry leading their available choices. Even Micah looked for jewelry for his mom that had blue in it. The resort town of Jackson is truly beautiful. Not only does it have the backdrop of the Grand Teton Mountains, but all of the buildings are no taller than two stories high and are of the same dark wood construction. There is no tall signage to disturb the spectacular view. The shops carry merchandise that ranges from economical to extraordinary, costing even as much as $450,000.00. The children posed in a beautiful park whose four entries were graced with arches made of antlers. We enjoyed ice cream cones while relaxing in a plaza. Upon returning to The Hostel, the children rested and communicated with their parents. Micah napped while Mimi did laundry in the coin-operated laundromat at The Hostel. We were ever so privileged to be able to take the gondola to the top of the mountain on its first day of operation for the season. What an exciting first time adventure for the children! Soaring up 2,700 feet to a height of 9,100 feet offered spectacular views and a thrilling experience for them. Upon reaching the mountain top, we went hiking and located snow, which provided some exciting fun in the snow. Hiking further up the mountain, the children spurred their Poppy on with a cheer. We sat in the mountain-top restaurant listening to live band music while eating sliders and French fries and drinking homemade lemonade. Wayne and I each sampled a locally-brewed beer. I experienced the best tasting beer I am sure I have ever had: Pako’s IPA (India Pale Ale), handcrafted in Jackson Hole, Wyoming. This golden ale is brewed with nearly two pounds of Simcoe and Columbus hops in every barrel. Snake River Brewing has twice earned the recognition of “Small Brewery of the Year” at the Great American Beer Fest. Pako’s IPA won a gold medal for American style strong pale ale at the 2011 Great American Beer Fest. As we sat in the outdoor mountain-top restaurant overlooking a breath-taking view of the surrounding mountain range and the Teton Village in the valley, the temperature dipped to 55 degrees. It was time to return to the valley for an evening of games at The Hostel before our evening devotions. What a fabulous day! When Wayne was two years old, he came with his parents and older sisters to Yellowstone National Park. Being so young, he had few memories of this visit. As a result, for sixty-two years, he has yearned to return. Today, that longing was fulfilled! What an incredible experience seeing this beauteous creation of God and sharing it with our grandchildren! Making it even more enjoyable for Wayne and me was the thrilling appreciation of the grandchildren for God’s creative masterpiece. We drove from the Norris campground to Canyon Village where we turned south, arriving at the breath-taking Grand Canyon of Yellowstone. We felt enormously blessed for the privilege of viewing from the vantage point where the Yellowstone River drops 308 feet over the Lower Falls. As dusk approached, we had multiple sightings of wildlife, even close up and personal. Throughout the day, we have viewed a herd of bison, moose, bull elk, chipmunks, a herd of geese, pelican, and bear. It has been quite exciting for the children. On our homeward journey, we watched the beautiful sunset over Yellowstone Lake and were in awe of the spectacular full moon. We pulled in to our parking lot by The Hostel at 11 PM, tired but filled with happy memories and visions of the beauty we had been privileged to witness today. This morning we left Rawlins, Wyoming, a ranching community on Interstate 80 resplendent with churches, a thriving downtown with antique stores, and motels/hotels for travelers on their way to Yellowstone National Park and the Grand Tetons. The terrain through which we traveled was gently rolling, dry, and filled with scrubby growth. It was beautiful, unpopulated country, vacant of cattle and other revenue-supporting interests. Traveling west on Interstate 80, we crossed over the Continental Divide. The terrain became even more desert-like the further west we traveled on the interstate with hills replaced by rocky mountains with a yellowish color. As we neared Rock Springs, the mountains changed appearance. They assumed flat mesa tops with layers of different colors. We ate lunch at McDonald’s in Rock Springs, Wyoming, where we began the northern route to Yellowstone on Highway 191. Beyond Eden, with a population of 220, the land again became flat. Irrigation provided the opportunity to grow produce. The children spotted tumbleweeds and dust devils. We traveled on the Oregon Trail. Snow-capped jagged mountain peaks appeared on the horizon, looking much like the Dolomite Mountains of Italy. Upon reaching Highway 351, we saw cattle grazing on the ranch land. Near the base of the mountains, trees appeared, streams of water flowed through land, supporting cattle and horses, dotted with homes, many of them attractive log cabins. We entered the beautiful community of Pinedale, a clean, pristine community of well-constructed single dwelling homes, a campground, hotels, and a Missouri Synod Lutheran Church. Pinedale truly is located in an idyllic, appealing setting. The scenery became even more stunningly beautiful as we neared the Grand Tetons. The Hoback and Snake Rivers flowed beside us; tall evergreens graced the landscape. We drove through beautiful Jackson where we turned onto Highway 22. I now understand the enormous popularity of this area; it is breathtakingly beautiful. We arrived in Teton Village, Wyoming, where our lodging at The Hostel is located. The Hostel is a throw-back to the church camp days of our youth. Our grandchildren adapted with enthusiasm to the rustic accommodations. While expensive for us at over $200 per night for two rooms, each of our hostel-style bunk rooms consists of four single beds, a sink, shower, and commode–no frills, but clean, and located in a gorgeous resort area. There is no elevator to our third floor bunks, but a fully-stocked game room that includes a pool table, foosball, chess, and checkers tables is providing great moments of fun for us. After settling in, we walked in the Teton Village community teeming with recreational opportunities: gondola rides, bungee jumping, soccer field. We strolled to the restaurant that features Thai food, a new cuisine experience for the children enjoyed in the outdoor patio. We ordered several different entrees to sample the varieties of taste. On the way back to The Hostel, we alternately walked and jogged on a new black-topped walkway. As Micah ran ahead, Poppy walked swiftly to catch up. Suddenly, Micah ran back to hug his Poppy’s legs. Poppy, though, lost his balance and began to fall. He contorted his body to protect Micah. Though Wayne had been hurt from the fall, he cradled Micah and focused his attention on our precious grandson who had bitten his lip, cut his finger and was bleeding. With some first aid assistance from the supply we had brought, we were thankful that the injuries had been minimal. We still concluded our day with devotions as we looked forward to the adventures the next day. Today we packed up our belongings and left Vail after a fabulous time in this lovely setting. There were beautiful memories of previous visits to the Vail-Avon-Keystone-Copper Mountain-Frisco-Breckenridge areas with our children, the Board of Regents, and my Sisters’ Retreat. I absolutely love this part of the United States. What joy it is to introduce a new generation of our family to this favorite part of the United States! Traveling through Colorado to Rawlins, Wyoming, provided such a stunning contrast in geography and terrain, each setting beautiful in its own way. From the lush evergreen and aspen-covered mountains dusted in snow to rocky mountains whose feet are caressed by green meadows to the rolling hills of the Wyoming ranch lands, every mile of the sparsely-populated route conveyed unique beauty. We arrived at the Days Inn in Rawlins where we had reserved two connecting bedrooms. It is amazing how demand and availability impact cost. For minimal accommodations in this area, we paid $212 for our lodging. Throughout our trip, we are traveling with food and drinks but were ready for a hot meal at Pizza Hut after our arrival. Following a swim in the indoor pool, we spent a quiet evening in our rooms. 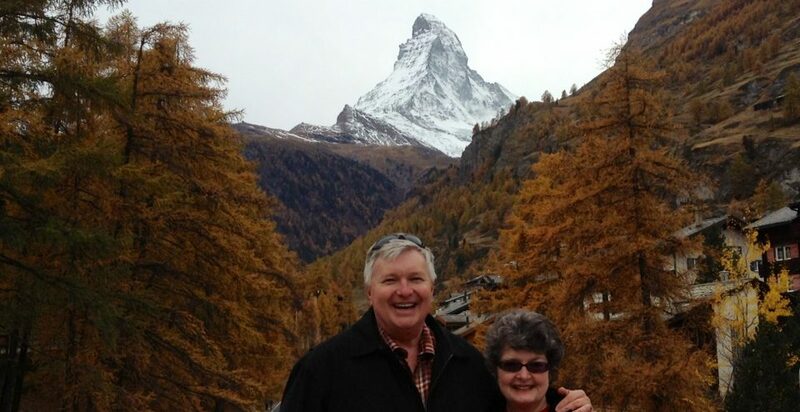 Today, as Wayne and I awoke enormously sore from yesterday’s adventures, we rejoiced in the blessings God has given us in 42 years of marriage that we celebrate today. How thankful to God we are for each other! How special today was in Vail! The resort staff have been providing a variety of opportunities for us to meet and greet other people who are staying here. Yesterday was such a special time. Today a grilled hamburger luncheon was provided for guests, followed by swimming, and then an ice cream sundae social. We had the joy of enriching our relationship with the wonderful people we had met yesterday. Little did we imagine that we would meet new people today with whom we also shared intimacies. Dear friends of Kevin Schlichting’s parents whose children grew up and went to school with Kevin and his sister shared conversation with us while the grand girls contentedly played “Charades” beside us. Not only did they worship with Kevin’s parents, but they dined together socially once a month. We were further amazed to learn that they had lived in Crete, Nebraska, where my uncle had been mayor and they knew my aunt and uncle well. We also delighted in getting to know better our hike guide, Reed, a friendly, encouraging young man of many skills. At the dinner table back in our villa, the grandchildren became mesmerized hearing the stories of their Poppy and Mimi’s love for each other. They peppered us with questions about how we met, our dating history, our first kiss, our wedding day. How joyful it was for us to share this endearing history with our enthralled grandchildren! On our 42nd wedding anniversary, we tucked the grandchildren in their beds and made some early preparations for tomorrow’s departure from this beautiful place as we head in to Wyoming. What a monumental day this has been for the grandchildren–first time experiences for all of them! Wayne left early after breakfast with Aurora, Miranda, and Mikayla to go white water rafting on the Eagle River. Wearing wet suits, helmets, and life jackets, they navigated an exhilarating Level 3 white water raft experience. They returned to the villa filled with exciting stories of their adventure. Micah and I left shortly after Wayne and the girls for a four mile guided hike on the Booth Creek Trail in the White River National Forest. Hiking with us were fantastic families: a family from the Ukraine who had re-located to Milwaukee and were familiar with people who were members at Elmgrove Lutheran and who taught at Concordia, Mequon; a family from South Carolina who shared one of their umbrellas with me to use as a walking stick; and amazingly–what a small world in which we live–a dear friend of dear friends of ours from Wichita! They go to the same church, sing in the church choir together, and attend the same Bible study! What a wonderful new friend we made today! Advertised as a moderate level hike, while advancing 2,500 feet up to reach a 10,500+ foot peak with a view of a rushing waterfall was quite a feat…for me! Micah and I began the journey together directly behind the guide. Very soon, Micah remained the agile “line leader,” out-pacing his 65-year-old Mimi, who very soon slipped into caboose standing huffing and puffing in the thin air as we rose higher and higher, stepping over rocks and roots and crossing two streams by foot before reaching the waterfall. Along the trail, we saw beautiful mountain scenery and native flowers and heard the rushing waters that flowed nearby. After resting at the beautiful sight, we began our descent down the mountain. Five hours after we had begun, our group reached the bottom of the trail. I was so glad to see the shuttle bus waiting to take us back to our lodging. Dirty, tired, and hungry, we rejoined Wayne and the girls back in the villa filled with delightful stories to share. Dinner in the villa was followed by s’mores made on the outdoor grill beside the stream that flowed next to our villa. As the children crawled into bed following devotions, baths and showers, Wayne and I began journaling and looking for the Icy Hot to rub into our weary muscles. This morning after breakfast, we walked along the streamside at our villa and explored the amenities available to us at the resort inside the club house and outdoors. We then took the resort’s shuttle in to Vail where the children walked across the wooden bridge above the rushing mountain stream, played in the fountains that weave through the village, and soaked in the city’s sights that were enhanced by the abundant, colorful floral plantings. Upon our return to the villa, we enjoyed root beer floats and a game of Headbanz. It was then time for an afternoon rest before swimming in the indoor/outdoor pool. After baths, showers, and dinner prepared in our villa, we had devotions and went to bed with visions of the fun that awaits us tomorrow. Today is Father’s Day! Micah was absolutely thrilled to talk with his Tomball family, including Izzy, on FaceTime and wish his daddy a happy Father’s Day. Poppy was also blessed to receive Father’s Day good wishes. Leaving Pueblo traveling north on Highway 50, the terrain was noticeably dry, barren, and flat, desert-like, with a beautiful view of the mountains in the distance. Poppy amused all of us as he moderated a guessing game while we traveled. Arriving in Canon City, we could smell the smoke from the fires that were burning in Colorado. Because of the fires, we were unable to travel the road to the Royal Gorge as we had planned. We stopped in Canon City, however, to buy some freshly-made kettle corn. Leaving Canon City, we entered the rugged mountains. We drove along the Arkansas River and saw people white water rafting, fishing, riding four-wheelers, and zip lining. We noted the many camp sites and RV camps. A very long train traveled beside the river bed as we drove along Highway 50 West to Salida. The children noted the tree line on the Collegiate Peaks above which no trees could grow and wildflower-laden alpine meadows that grew below the mountain peaks. We stopped at McDonald’s in Salida for lunch. Aurora was happily able to do FaceTime with her parents, her Tita, and Aunt Laura who were together celebrating Father’s Day. After Salida, we turned onto Highway 285 North and encountered rain that was a welcome the area. The temperature turned to 57 degrees. We showed the children the cute, quaint, beautiful town of Buena Vista located near the property Wayne and I once owned and then sold. Buena Vista is also near the Young Life Frontier Ranch where Aurora’s Uncle Jason was a camp counselor. On our route to St. Elmo, a ghost town, we passed a cemetery, slowly snaking our way up on a narrow mountain road with steep drop-offs, observing natural hot springs, while being surrounded by beautiful aspen and evergreen trees. The route to St. Elmo was enormously gorgeous. The children relished the fragrance of nature. Rushing water from melted mountain snow trailed beside us prompting the need for a restroom break. Finding an outhouse with a commode on the route, we stopped. Behind the outhouse was a mountain trail that invited us to a climb. The children recognized how easily out of breath they became the higher they climbed. A narrow gravel road brought us to St. Elmo, one of the most intact ghost towns in the West. In 1979, the entire town, consisting of 43 buildings, was listed as a historic district on the National Register of Historic Places. St. Elmo was first populated by Native Americans drawn there by the hot springs in the Lower Chalk Creek Canyon. In the 1860s, Nathrop ranchers came to graze cattle in the summer. Trappers and prospectors arrived in the early 1870s when a high grain of silver ore was discovered. This spurred rapid growth with as many as 2,000 coming to live in St. Elmo in 1881. Two fires, the repeal of the Sherman Silver Purchase Act in 1893, and the close of the railroad brought on the decline of St. Elmo. By 1930, only a few residents remained. It was special to us that, as we traveled west on Highway 24 after leaving St. Elmo, we passed through Granite, Colorado. We drove through Leadville, the highest city in the U.S at over 10,152 feet high. The motto of this Old West mining town is “Good Living at 10,200.” Outside Leadville, it began to rain. Very soon, the rain turned to snow that began to blanket the road and the mountain that touched the road. What fun it was for the children! We arrived in Vail at Vail’s StreamSide Evergreen. After checking in, all the children did FaceTime with their parents showing them the lovely setting in which we would spend the next four nights. Poppy and Micah went grocery shopping while Mimi organized the villa. Poppy fixed a wonderful meal for us while Mimi supervised baths and laundry. We settled in comfortably to our new surroundings, thankful for a fantastic day and looking forward to the new experiences that await us. Leaving Dumas, Texas, traveling on US 87N, the children observed the dry, flat lands of the Texas Panhandle. They also witnessed irrigation of the fields and learned from their Poppy about the conservation of water, sharing of water rights, and crop rotation. They saw grain elevators and cattle and windmills that generated energy from the wind. They observed oil wells that were actively pumping oil and learned about the process of oil production and distribution of royalty payments. We switched seats in the van with the understanding that the co-pilot in the front passenger seat was responsible for reading navigation directions, following the map, distributing chilled drinks from the cooler, and managing the trash bag. Yesterday was Miranda’s day; today was Mikayla’s day to fulfill those responsibilities while Mimi sat in the back with Micah. As we traveled, we conversed with the children on a variety of significant life issue topics. Today, the children added New Mexico and Colorado to the states they now have visited. We saw mini rifts in the barren lands of New Mexico, and Poppy told the children about the Great Rift Valley in Kenya. We stopped in Clayton, New Mexico, for ice cream at Dairy Queen. Train tracks followed us on our journey. As we neared Raton, New Mexico, low green foliage came into view, and the elevation rose as we entered the foothills of the snow-capped Rocky Mountains. We ate Subway sandwiches at an outdoor picnic table. Past Raton, the last town through which we passed in New Mexico, we entered the winding, tree-scaped foothills of the Rockies and colorful Colorado. We arrived in Pueblo at the SpringHill Inn and Suites. We settled in to our assigned room only to realize that the air conditioner failed to cool the room. So, re-pack we did and move to another room. We walked on the Pueblo Riverwalk, built around a meandering river, lined with trees, cobblestone walkways, water features, sculptures, and landscaped with native Colorado flora. It was a beautiful, inspiring setting. After sharing pizza and salad at Angelo’s Pizza Parlor located on the water, we returned to the hotel for a refreshing evening swim. After loading up the van in Altus, we left at 11 AM for Dumas, Texas, where we would spend one night as we journeyed north to Colorado. The grandchildren were enthralled with the tree-less landscape of the sparsely-populated hot dry lands of the Texas Panhandle as we drove through Amarillo and on to Dumas. They commented on the flat mesas, windmills, working oil wells, and the train that snaked through the hills and valleys. We also observed the stately cross and scenes from the Passion of Christ that loomed above the desolate landscape that we had previously seen on Facebook posts. We arrived at the Best Western Windsor Inn in Dumas. Though we were to have connecting rooms, one of the rooms had not been cleaned, so the gals took one bedroom and the guys had the second room. We headed to the indoor pool for an afternoon of swimming. After dinner at Albert’s Family Restaurant, we retired to our separate rooms for a night of sleep. After breakfast, the girls and I were able to change from Room 109 to 107 so we could have a room that connected with Poppy & Micah in Room 105. Now, with an open door between rooms, Wayne & I could sleep together while supervising the children who shared two queen-sized beds in the second bedroom. With sleeping arrangements securely in place, and the door between our two rooms opened widely, we ate lunch at Whataburger and began the story-telling journey to Granite, Oklahoma, where Wayne grew up. We visited with cousins, James and Janet, in their home on Mountain View in Granite and then took off with them to see the farm that is jointly-owned by Wayne and his sisters. Where once cattle roamed the open fields and drank from a spring-filled pond that was stocked with large bass and other fish, today there are no cattle because there is no water for them to drink and no fish for fish cannot live in a dry pond where stagnant algae lies in a dwindling puddle. Where wheat once thrived in the red Oklahoma soil, today only spindly heads crack through the dry earth destined to be plowed under with the prayer that the next season might yield bountifully. The three-year Oklahoma drought has taken a heavy toll on the farm and the farmers who inhabit the land in Greer County Oklahoma. We walked inside the Lutheran Cemetery where the children saw the graves of their great grand parents, Emil & Leonora (Semmler) Graumann, Wayne’s parents; their great-great grandparents, Gustav & Juliana (Neumann) Graumann; and their great-great-great grandparents, Gottlieb and Louise, who came to America from Russia, although they were Germans. They founded the church and gave the land to the church as a burial site. We visited the church where Wayne took care of the church grounds from the time he was Aurora’s age. We drove by the location of the grocery store where Wayne worked four hours every week-day after school and twelve hours on Saturdays. We saw the school that Wayne attended from a child and from which he graduated and where Great-Grandmother Graumann served as school cook. We drove slowly past the home where Wayne grew up and the garden spot he had so carefully tended as a child. We felt sadness as we observed how the property had deteriorated through the neglect of the present owners. Back at the home of James and Janet, the children tentatively climbed the granite mountain in the backyard of James and Janet and sampled deer jerky they had made from deer shot on the farm. We took a drive to the Quartz Mountain Lodge where an art conference was being held through the month of June. Wayne and I felt sadness as we witnessed the pitiful effects of the area’s drought. Where water once reached to the roadside, trees had taken root in the dry banks. Algae and salt that inhabited the vanishing water had killed every last fish in the lake. Sailboats and motor boats that had once dotted the water’s landscape were seen no more. Swimmers who used to play on the sandy beaches were no longer present. People who had built homes on the lake could now only view dry cacti and struggling salt cedar trees from their picture windows. It was a sorrowful scene. As we headed back to Altus, we observed newly-planted cotton fields where Wayne picked cotton as a child, earning ten cents for every pound of cotton. We stopped for another serving of Braum’s ice cream and yogurt, followed by a return to the Microtel for a brief rest before joining James and Janet for dinner at the Western Sizzler in Altus. Then, it was a return to the Microtel for the night with baths for everyone, pajamas, and games with Poppy while I did laundry. It was wonderful for Wayne and me to introduce our grandchildren to his home of origin and to see Granite through the admiring eyes of our grandchildren. We began our day with a good breakfast at the Residence Inn, followed by a final swim in the outdoor pool. After a stop at Family Dollar for game prizes, we began our journey from Dallas to Altus, Oklahoma. I had again prepared individual snack bags that were supplemented with a stop at Braum’s Ice Cream Store. With reservations booked sight unseen at the Microtel in Altus, we were pleased with our accommodations in two separate rooms. After getting settled in our rooms, we took the advice of the hotel clerk and headed to Blair, Oklahoma, to dine at the Back Door Steakhouse, a rustic eatery filled with antiques. The waitress, Jeanette, was ever so accommodating. The chef thanked us for coming. We made a quick Wal-Mart stop for laundry soap before returning to our two rooms at the Microtel. We made the decision to rest quietly in our male/female rooms and retire earlier than usual for the night. It was such a pleasant day. After a nourishing breakfast at the Residence Inn, we swam. Wayne reached success in the process of teaching little Micah how to swim. Wayne also spoke on the telephone with his sister and Jennifer, learning that Charlotte, who herself was having her own health issues, was weak and depleted after her care of Don. She and Don had agreed on end-of-life issues. Don’s body, as he desired, was being cremated. With Charlotte desiring quiet time to strengthen her body and emotions and with Don’s elderly siblings needing time to make travel arrangements, Charlotte wanted to wait until July, when Wayne and I originally planned to be in Phoenix, to schedule a memorial service, and she wanted Wayne to officiate at the service. With those arrangements firmly in place, we proceeded with our plans for the day., which included a visit to the George W. Bush Presidential Library. We were totally enthralled by what we saw and experienced. The children, even our little four-year-old Micah, were fully engaged in the numerous interactive, kinesthetic experiences available. We spent three hours touring the beautiful facility. Next, we ate lunch at Boston Market and then returned to the Residence Inn where Micah napped while Wayne played a delightful board game, Headbanz, with the girls. Our evening was immersed in conversation with cousins, Don & Linda (Bolte) Martzall, who live in Grand Prairie as we joined them for dinner at El Fenix. It was wonderful re-connecting with them. We returned to the Residence Inn, where Wayne played another game of Headbanz with our grandchildren. Wayne and I arose early, for Wayne was scheduled to have laser eye surgery at Houston Eye Associates to correct a weakening of vision noted since his previous major eye surgery. God was gracious to Wayne. Immediately following surgery, Wayne experienced improvement of vision. We thank the Lord for His blessing. We left Dr. Dunn and began our collection of the grandchildren, picking up Aurora at her Tita’s and Micah, Mikayla, & Miranda at Micah & Tomika’s home. Then, on to our home to load the van with luggage. Each child had their own individual lunch & snack bag lovingly packed by Mimi. By noon we were on our way to Dallas. Just before arriving in Centerville to buy turkey jerky at Woody’s Smokehouse, we received the unexpected news of the death of our brother-in-law, Don Zimbrick of Surprise, Arizona, husband of Wayne’s sister, Charlotte. Don had been taken to the hospital with pneumonia. Upon further evaluation, it was discovered that he had lymphoma which was significantly progressed and soon claimed his life. Jennifer was already airborne from Viet Nam where she teaches in a Lutheran high school. Jennifer had already planned to spend the summer with her parents. The news was shocking to us and saddened us. We considered various scenarios regarding a possible interruption of our travel plans. We continued on to Dallas where we had reservations in a two-bedroom suite at Residence Inn by Marriott. It was quite a lovely, comfortable setting for us. While Wayne took some much needed quiet time alone, I took the children to the manager’s reception where nachos were served. We followed that with a delightful time in the pool.